More than 20 years of project management experience. His project management experience includes budget phase through job completion in a variety of projects including commercial, retail, hospital, clinical, research, educational and religious facilities. As Vice President at IFS, John is responsible for business development and marketing. John has been the lead member of a team offering program and capital budget management of a multiple site acute care healthcare organization and has completed hundreds of projects in various healthcare facilities. Before joining Integrated Facilities Solutions, John had 12 years’ experience as a project manager with several general contracting firms. His general contracting and subcontracting experience bring a perspective to the project team that considers all viewpoints. 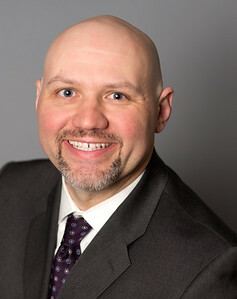 John is an active member of the Lean Construction Institute (LCI) Chicago Community of Practice (CoP) and he was a member of the 1st Integrated Form of Agreement (IFOA) project in Healthcare in Chicago. As a lead member of the first Integrated Project Delivery contract in Healthcare in Chicago, the team used lean tools and principles along with the full power of the Integrated Form of Agreement (IFOA) to save the client (2) months off the construction schedule and $600,000 while delivering a quality Medical Office Building and setting the standard for how MOBs should be built. The major plumbing revisions in a suite in an acute care hospital would have required extensive relocation of utilities on the floor below and major structural steel supports. IFS lead the team to a concept to modify the plumbing fixtures, coordinated this with the headwall vendor and eliminated the need for costly relocations and structural additions. This saved the hospital over $250,000 in potential costs. My background in construction has been varied across my career. Bringing my experience as a subcontractor and general contractor to the team adds a perspective that sees all viewpoints with the understanding that the owner is not successful unless the entire team is successful.